Zbrush is a wonderful program but also a little daunting with it’s UI. I’ve recorded a very short introduction to getting used to Zbrush most basic features. It’s just enough for you to move around and sculpt simple objects. Sorry, I’ve been away from blogging these past couple weeks. Lots going on but I’ll get into that in another post. Something a fellow co-worker, Brian LaFrance, showed me was Pixelogic’s Zbrush training called ZClassroom. Now there are a ton of resources these days to learn applications or brush up on some specific techniques. I find it very rare that the software company itself has a wide and varied list of tutorials on their own sites. Pixologic has a done a great job with their ZClassroom. First off, it’s organized very neatly and succinctly. You have a search parameter right off the bat. Easily marked sections based on skill level with Zbrush. There is a courses tab as well to follow a particular project. Scrolling down you can also just click on a particular area of focus you like to explore in. I looked into the “Digital Sculpting & Modeling” tab. Here my friend had recommended the “Architectural Design” one. Now this project has 6 parts to it. It’s great to see each parts level of difficulty, and the time each clip will take to watch. I went through these tutorials and they are awesome. The techniques that Joseph Drust shows are great. He quickly shows multiple techniques like using ZModeler, NanoMesh, Alpha creation, Surface Noise, and Zbrush to Keyshot Bridge. He clearly shows how he creates these great architectural buildings so quickly and beautifully. I’ll post some of my creations next time. Take a look at all the tutorials they have to offer. Lots of bit size ones during a lunch break or some of the longer ones for more in depth techniques. Now that I’ve figured out the lighting setup on low resolution render. I need to further refine this 3d sketch. Since I used World Machine, my UVs and mesh for my geometry are not optimized. UV mapping is a process that places a texure map onto a 3d object. 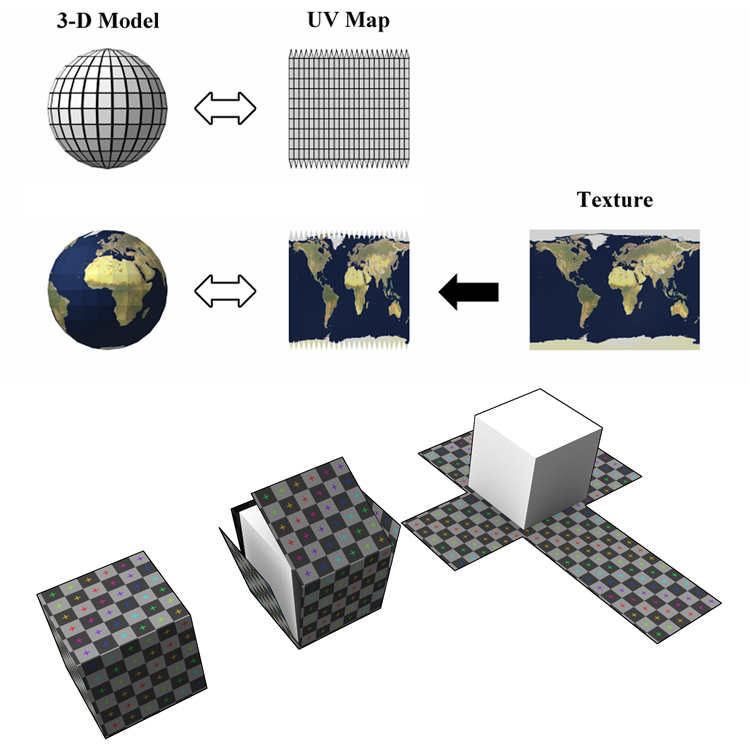 Think of a texture map in UV space as wrapping paper going over a box you want to wrap. Now, if I look at the topology of the geometry I got from World Machine, you can see the mesh is not optimized. The divisions are not evenly distributed. Ideally you’d like to see even squares across the form for your texture map.